A major exploration of the architect Louis Kahn's life and work. 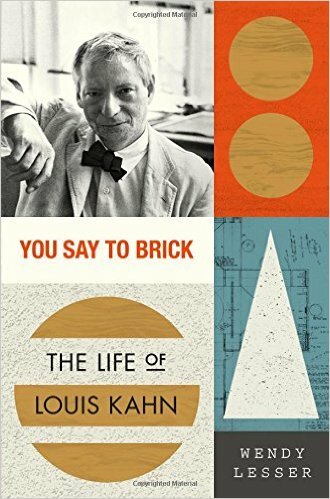 You Say to Brick is easily the most complete narrative of Kahn’s life and career, magnificently researched and gracefully written. As the founder of The Threepenny Review and a nonfiction author, Lesser has a background that’s literary, yet her account is packed with insights, of both the architectural and psychological kind ... For Kahn, there was never a line between love and work, and Lesser effectively shows how each of his long-term relationships was crucial to his development as an architect ... Lesser does readers a service by interspersing her narrative with 'In Situ' chapters that serve as guides to his designs and vividly conjure the experience of walking through his buildings ... Kahn died far from the light. With Lesser’s biography, the illumination is restored. ...[a] fascinating new biography ... This remarkable, readable and humane book pairs painstaking research with poetic interpretations. No detail is too small, as long as it sheds light on one of the 20th century’s most admired, influential architects. Lesser cites income tax returns, ferryboat tickets, dental visits, police reports obtained via Freedom of Information requests. Terrific short 'In Situ' chapters tour Kahn’s best buildings, describing the experience of moving through complex spaces lit by ingenious and meticulously planned placement of windows, cutouts, skylights and atriums. Her biography is not the first we have of Kahn, but it is notable for its warm, engaged, literate tone and its psychological acuity. Lesser’s prologue is almost too tasty, an intellectual fanfare ... Lesser enjoys unspooling the threads of Kahn’s unconventional personality ... Lesser has done a great deal of traveling for this book, and she has an innate feel for Kahn’s architecture ... Lesser’s biography has a flaw, and it’s not insignificant. She races through the eight years Kahn spent in high school and college in eight pages. There’s little exact detail. 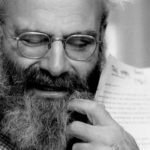 These are the years most biographers linger on, extracting all the juices, because they’re when an unusual life begins to diverge from the mundane ones that surround it. They’re when a personality is forged. What did you think of You Say to Brick: The Life of Louis Kahn?